I’d love to take a moment to share a special journey with you. I am working on my third children’s book, but this one has added meaning. It’s a story that I hope will raise awareness about a rare skin disease called Epidermolysis Bullosa, or EB. Children with this devastating condition have very fragile skin that blisters daily. They are known as the butterfly children because their skin is as delicate as a butterfly’s wings. I’ve written a story, called BUTTERFLY CHILD, to honor the bravery and strength I see in children with EB. Now, I need your help to bring the book to life. I’ve launched a Kickstarter campaign to get BUTTERFLY CHILD published. By donating to the campaign supporters can receive different rewards like paperback and hardcover copies, or even get a child’s name written secretly in an illustration. Available for 99 cents on September 15th! I’m excited to see short fiction returning in popularity. I hope you will enjoy these stories as much as I did. Check out this new release by Alex Hurst. It sounds wonderful. Click on the original link button to learn more. 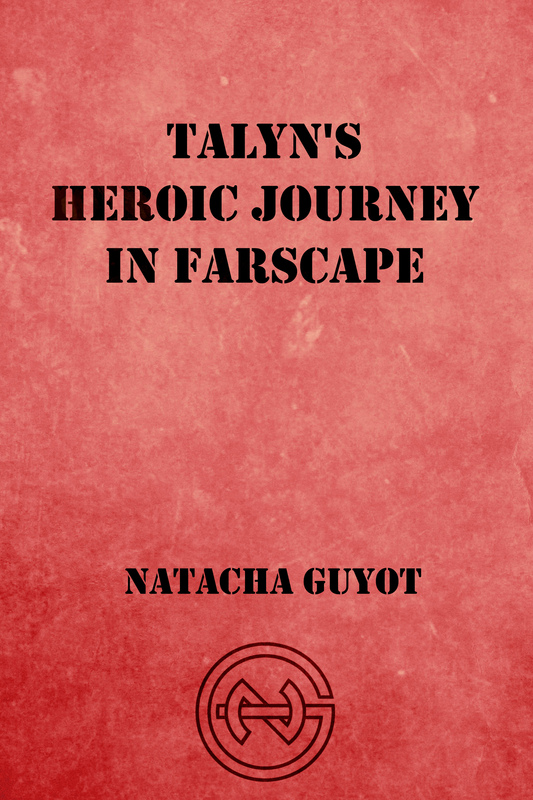 The talented Natacha Guyot has an upcoming release (Talyn’s Heroic Journey in Farscape). It’s available for pre-order now. For more details, click on the original post button. With the confirmation of a Farscape movie coming out within the next years, I thought it was the perfect opportunity to remember this beloved show, including characters who passed away during it. I am happy to announce that Talyn’s Heroic Journey in Farscape will be released for Kindle on July 29, 2015. Priced at 0.99, it is now available for pre-order on Amazon US, Amazon UK, Amazon Canada, Amazon Australia. It also has its Goodreads page. Created in 1999 by Rockne S. O’Bannon, the Science Fiction television series Farscape focuses on the eclectic crew of a living ship called Moya. One of the supporting characters, Talyn, is Moya’s hybrid offspring, is born at the end of the first season and also experiences his own heroic journey. “The Things We Do For Lust” is a story from Infinite Waters, a collection of ten speculative fiction short stories and flash fiction. You can read it for free below. Enjoy! His tall frame stood against the open door, the sun showing off his muscular body. He glanced down at me, his soft brown eyes sparkling. He opened his arms and I jumped into his bear hug. I squeezed against him and kissed him, our lips melting together. What a wonderful contribution these authors are making together. Check out the post for more details.